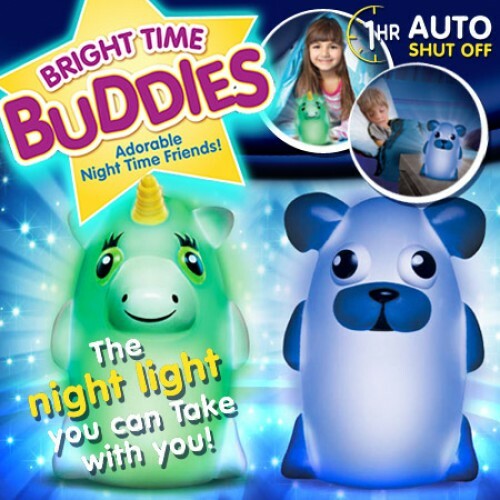 Bright Time Buddies are the new adorable night lights that your child can cuddle with and take anywhere! As Seen on TV is always coming up with the cutest kids items and Bright Time Buddies are no exception. These little night light buddies light up in a rotation of 3 colors or can be set on just one color. They’re soft so your child can cuddle with them- makes bed time so much more fun! Bright Time Buddies are perfect for at home or traveling!